Moving to a new country comes with a bunch of complications. But have you considered the financial implications of your move abroad? Here are some of the things you need to start thinking about before you get on that plane! Does your current bank have branches across the world? That’s the ideal scenario for you. Of course, you will have to find out how they operate in this new country. The bank that works best for you at home might work completely differently in another country. 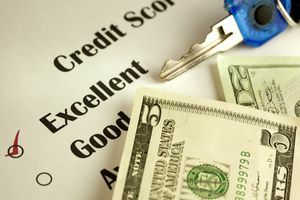 Do your best to make sure this gets set up while your credit history is easy for them to access. Once you go to another country, that process can become a bit more complicated. Very few of us are in a position where we can simply “pay off our debt”. I know it’s not as simple as that. But you need to start thinking about whatever debt you are in at the moment. Are there any that you can pay off before you move? Are there ways in which you can make them easier to sort out? Managing your debts while living abroad is a lot more complex. You’ll also have to deal with any currency fluctuations which may make them harder to pay off. You want to start making smart financial decisions now. There will probably be a few factors in your move that you haven’t given much thought to. Of course, I wouldn’t expect that you haven’t given any thought at all to how you’re going to get your stuff over there! But you may not have fully explored your options. These things get complicated, so people often go with the first international moving company they see. But you should always make sure the cheaper options, like Budget Self Pack Containers, operate in the countries you’re moving from and to. The Internet is your friend. Use it to find specifics on the cost of living in your new country. There are even places out there that let you make direct comparisons between your current country and your destination. You need to thinking about the costs of transport, education, and utilities. Taxes, of course, will also need to be considered. (Unless you’re moving to some tax-free utopia. Let us know where that is.) But remember that there’s also the oft-forgotten entertainment and insurance to consider! With this information, you can start building a monthly budget to help you stay on track when you get there. You should also consider the costs of coming back to your “home country” for emergencies or special occasions. The legalities of wills differ from country to country. You need to make sure your will now complies with the country you’re moving to. You should be able to find an attorney in the new place that can speak your language and assist you with this matter. But it’s recommended you speak to an attorney in your current country while you still can!